Strata Data Conference, SAN FRANCISCO, Calif. – March 25, 2019 – Neo4j, the leader in graph databases, announced today that the German Center for Diabetes Research (DZD) has been honored as a finalist for the Strata Data Awards for its Neo4j implementation. DZDconnect, the DZD’s graph database implementation combines research data sources from genetics, epigenetics and metabolic pathways with data from clinical studies to find new ways to fight diabetes. DZD’s research network accumulates a huge amount of data distributed across various locations and consolidates it into a single, master database. This central database provides DZD’s 400-strong team of scientists with a holistic view of available information, enabling them to gain valuable insights into the causes and progression of diabetes. 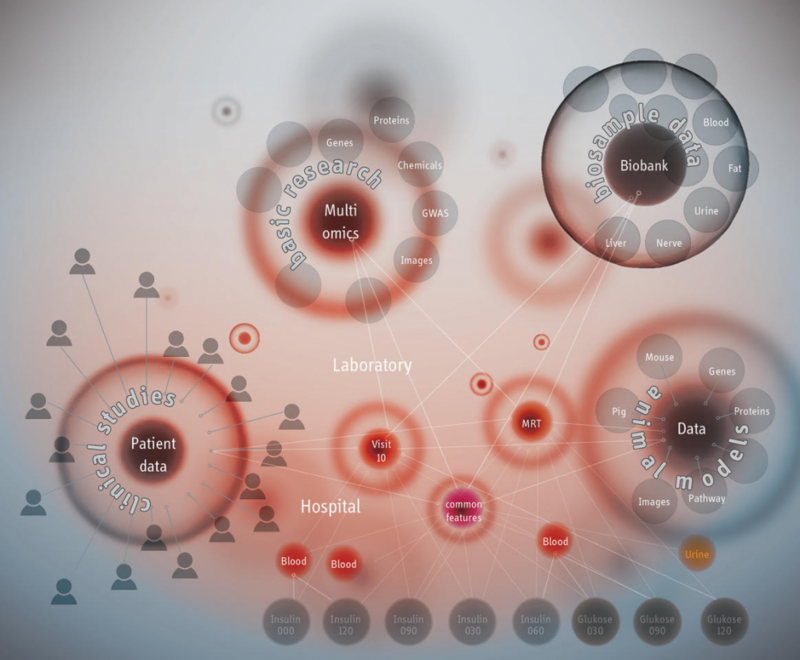 The team has begun using Neo4j in combination with artificial intelligence (AI) to make new connections in diabetes research. By leveraging its connected data, DZD is now able to further their ultimate goal to help patients with more individualized therapies and prevention plans. With support from Neo4j, Dr. Alexander Jarasch set up DZDconnect. The graph database sits as a layer over the various relational databases linking different DZD systems and data silos. DZD scientists are particularly impressed by Neo4j’s graph visualization and easy querying across massive, disparate datasets. Graph representation of “DZDconnect” metadata of the German Center for Diabetes Research (DZD). Neo4j’s work with the International Consortium of Investigative Journalists (ICIJ) will be featured in a Strata session titled ‘The Paradise Papers and West Africa Leaks: Behind the scenes with the ICIJ’. The talk will take place on Thursday, March 28, at 3:50pm–4:30pm, at the 2018 location. ICIJ CTO Pierre Romera will explain how his team made sense of the massive amounts of data, using Neo4j and other technologies in a yearlong investigation on the offshore dealings of multinational companies and wealthy individuals around the globe.